In just under one month, many people will have broken up for the festive holidays and will be all set to enjoy a variety of hospitality experiences with special friends and loved one. Make sure your outdoors is looking fabulous and inviting and that you have enough furniture and accessories to accommodate all your customers. Remember some of your regular customers will be out and about with their holiday guests, eager for them to enjoy your beautiful outdoor space and a celebratory bite to eat and drink or two. So don’t miss out on an opportunity to entice your customers to tarry for a little longer and hit you end of year targets. Our Tabletop Solar Lights are a lovely way to let your customers enjoy your furniture and your outdoor lit decorations over the festive season. 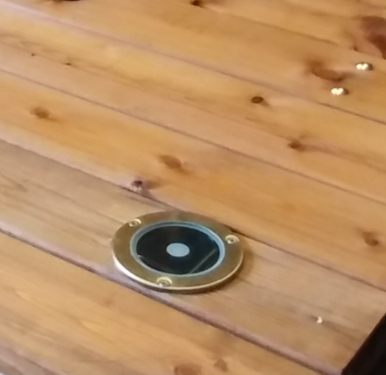 These robust, bright lights can easily be fitted to many of our products. Please check with our friendly team on 01926 889922 which products cannot be fitted with the solar light. 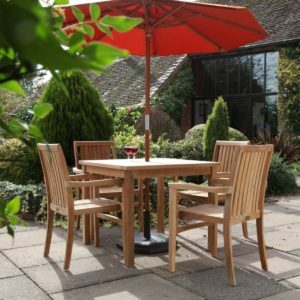 Teak furniture is the perfect way to show visitors that you are serious about their comfort. Built to withstand extremely cold weather conditions, this furniture will be with you for the long-haul. 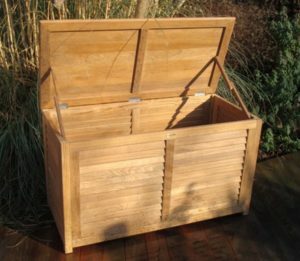 Our finely crafted Teak Outdoor Storage Box comes with six complimentary cosy blankets. The perfect way to entice visitors outdoors and enjoy a comfortable and toastie seating experience throughout the festive season. A lovely snuggle under the blanket, enjoying fresh air, outdoor decorations and a glug of mulled wine is the perfect way to kick back and relax after a busy year. Our Teak 900 Sets will be right at home settled in your outdoor spaces. Comprising of a table and x 4 carver armchairs, it is perfect for precious family catch up time while enjoying outdoor seasonal on-the-go food. As a team of experienced hospitality furniture consultants, we can advise you on what products are best suited to your environment from pubs to hotels, golf courses and parklands. Simply call us on 01926 88992 and let us do what we do best. We look forward to hearing from you.